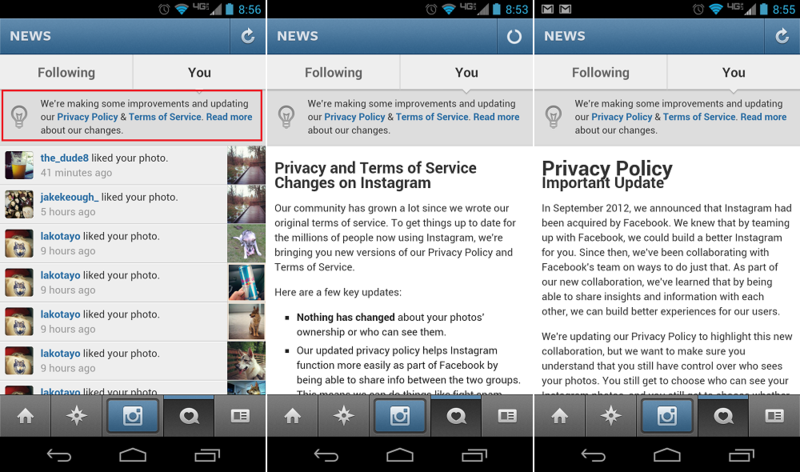 About This Instagram ToS Update. That means that a hotel in Hawaii, for instance, could write a check to Facebook to license photos taken at its resort and use them on its Web site, in TV ads, in glossy brochures, and so on — without paying any money to the Instagram user who took the photo. By updating their ToS and PP, Instabook will become the largest stock photo distributor in the world, without having to do any work at all. Now, informed people are reasonably a little upset/confused about why their pictures will all of a sudden have price tags on them. From some perspective, you can’t really argue with Facebook for trying to make money back on that large of an investment. What did you think their plans were when they threw down that much money? A simple integration between the two services? Let’s not be naive. Now, as for me, I wasn’t making money from my hundreds of “Thor and Loki” pictures anyways, so have at them Facebook. For what seems like thousands of other people who are putting their photography portfolios online, this may seem much more damaging. If you fear for your work, host it on your own and delete your account. Users have until January 16 to delete their accounts and back out of the new terms before the company takes “control” over the photos. 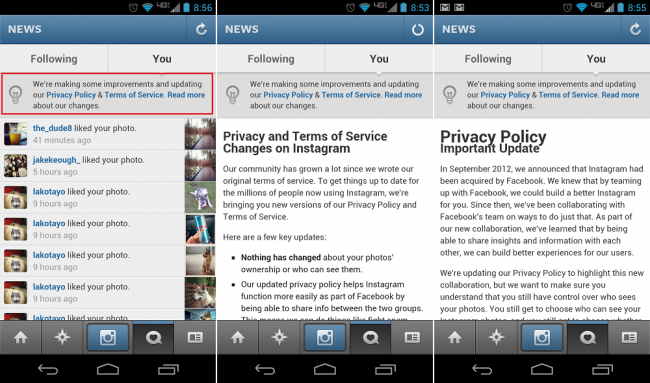 Will you continue to use Instagram in the event of this updated policy or have you already deleted your account?